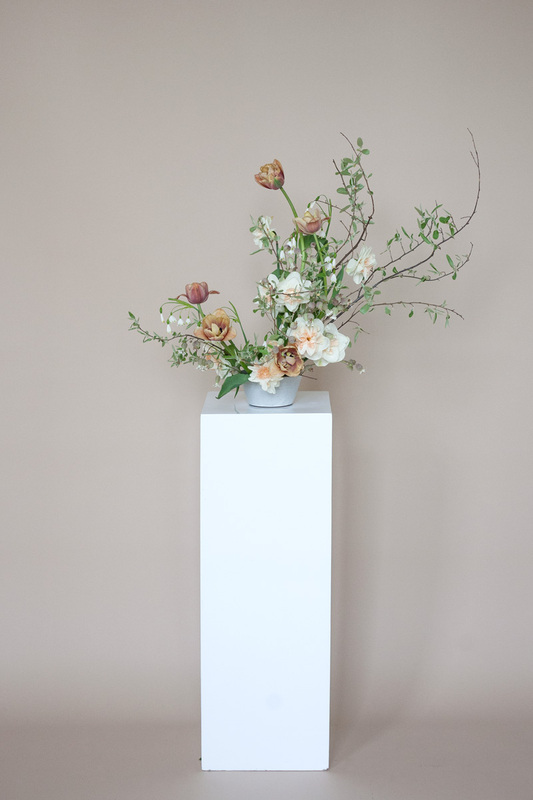 How To Push the Boundaries of Floral Design — EVERGREEN FLOWER CO.
Any creative industry requires intentional vulnerability in the face of certain criticism, which (shocker) is the only proven way to advance from creating bad to skillful work. Consistently confronting our process takes stamina and often, a robust sense of humor. I can’t tell you how many times one of us has asked the others “Does this look like a funeral design?” or took a design apart because someone mentioned the word “prom”. Sometimes, we have to create a steaming heap of bad design in order to become a proficient (and hopefully extraordinary) designer. Often times pushing boundaries looks like taking the time and energy to make a few more pieces after we’ve finished designing for more than one wedding and just swept the floor. To make something that is an artistic expression just for the sake of creating something unique or even weird. And my, does this word grate against the grain of my spirit like people who “just don’t like animals”. We are continually reinventing our processes and challenging the ways we view designs. We are habitually on the hunt for inspiration outside of our industry. We pour so much of ourselves into our work. But when the world separates the amateurs from the professionals, I know the pack with whom I want to run. And they run on a diet of intentionality and patience. And let me tell you, pushing boundaries is much easier said than done (and easier done than blogged about). But I would like to pretend that I’ve already crossed the I-welcome-difficult-processes-bridge in khaki pants and a dusty leather hat (for some reason, in my mind, that bridge is in an Indiana Jones film), and actively pursue growth for all areas of my life. But I know that I K-N-O-W that impartial feedback loops are the most valuable asset on this journey to craft mastery, and one of the reasons I am encouraged by a company that is pushing creative boundaries. Learn more about the designers of EFC here.